WorldAntique.net - A. Michelsen. 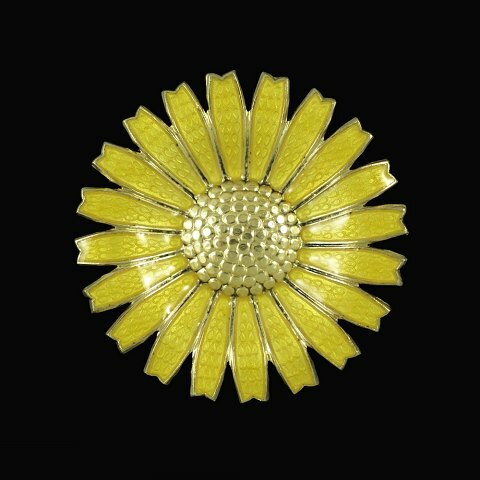 Gilded Sterling Silver Daisy Brooch with yellow enamel. 43mm. 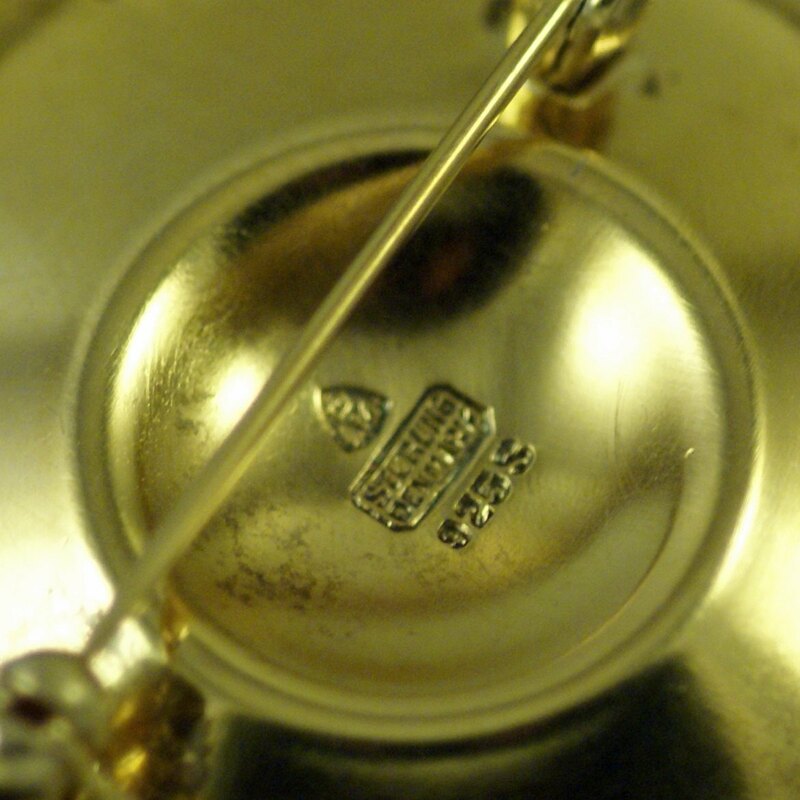 Stamped with AM (monogram) Sterling Denmark. Dia. (Ø) 4,3 cm. / 1,69 inches.